Fire extinguishers are a must have everywhere. You should have one in your car, bedroom, kitchen, office, and anywhere else you frequent. 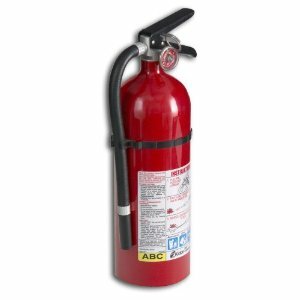 This fire extinguisher can put on trash, wood, and paper fires, liquids and gas fires, and energized electrical equipment fires.